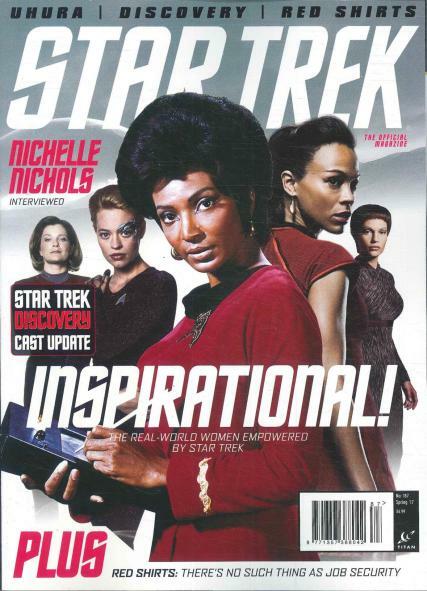 Star Trek is a bimonthly magazine that falls under the category of TV and Films. It was first published in the year 1995 so as to entertain the readers and give them the best time pass option. People, rather the Star Trek fans get glued to each article of this magazine. It covers star trek old and new, giving all the news on the latest updates about the characters and the actors playing the characters. The editors have done a very good job all through these years and readers really approve of this magazine, all over the world. Star Trek has a lot of fan following and almost fifteen thousand subscribers and readers from all around the world. It features the information of past, present and future Star Trek. It contains the interviews of writers, producers and directors, latest DVDs, books, games and comics available. It has all the information about Star Trek that a fan may want to know. To know anything about the latest updates on any topic related to Star Trek, subscribing to this magazine is a must. You can also grab the latest copy of Star Trek from your nearest newsstand. Various subscription plans are available of desired lengths. Discounts and gift vouchers are offered on first come basis. Hurry!